No matter the size or type of commercial business you operate, Betts Concrete Inc. is prepared to deliver exceptional concrete services. We’re the premier commercial concrete contractors in Clackamas County, OR, tailoring our abilities to meet the expectations of your project. From simple sidewalks to ornamental stamped concrete, we do it all. Foundations: If you’re developing a commercial structure from the ground up, contact us for foundation pouring. We’ll make sure the foundation of your structure is solid and sound, ready to accommodate the complete development. 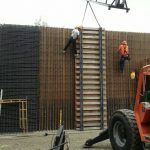 Retaining walls: Retaining walls for aesthetics and function are common on commercial campuses. Let us create retaining walls that improve the appeal of your commercial property, while also supporting your landscape or erosion control needs. Sidewalks: Having perfectly flat, level sidewalks is paramount for properties with foot traffic. Our team will pour your walking areas perfectly to ensure they’re accommodating. Stamped concrete: Ornamental stamped concrete in is a great way to help your commercial space stand out while remaining on-brand. Consult with us about the many styles, colors, and patterns that we’re able to stamp. 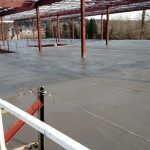 Commercial slabs: From sheds to parking pads and everything in between, we’re equipped to provide pouring services for commercial slabs of all sizes and purposes. As with everything we do, Betts Concrete Inc. addresses all commercial concrete jobs with the utmost attention to detail and a penchant for perfection. 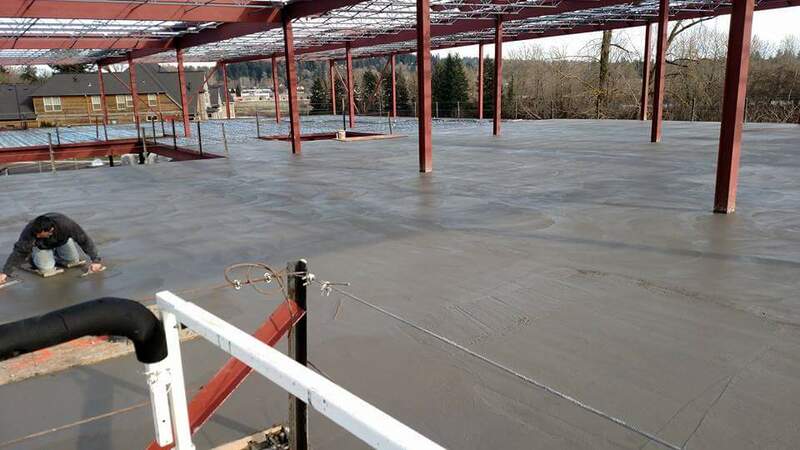 Contact us today at 503-757-6057 to discuss your commercial pouring needs with us and learn more about how we can realize your highest expectations. July 31, 2017 Gordon H.
"We have hired Ben on a couple different jobs. His crew and Ben him self do a great job." August 15, 2015 Ross M.
"Honest Quality Contractor - Something that is an extreme rarity these days. Ben Betts did a job for me a little over a year ago on a hand-sh..."